Promotur Turismo de Canarias has taken part in the leading events and fairs in the tourism industry to have been held over the first three months of the year at different European cities. Turismo de Canarias attends these events to present the islands’ offers and to facilitate contacts between Canary tourist businessmen, international operators and end clients. 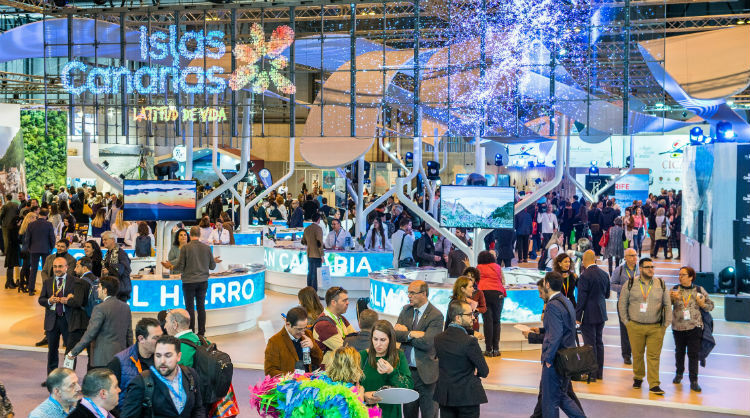 Además, the grand annual events with the top source markets, such as the national market with Fitur in Madrid, or the German tourism market, with the ITB in Berlin, have become an important platform from which to promote the archipelago. Indeed, at both these great fairs the Canary pavilion is conceived as another key element of the communication strategy by the Canary Islands brand. It is not just a display window to share the archipelago’s offer, but also a space in which to foster professional relationships among tourist agents who come to every fair, together with representatives from public administrations and tourism businessmen on the islands. Over the first quarter of the year, Turismo de Canarias has been present at Berlin, Barcelona, Budapest, Brussels, Dublin, Helsinki, Herning, Moscow, Naples, Paris, Utrecht and Vienna, plus many other European cities, which provides an insight into the work that in some cases goes into securing the future of traditional markets, and in others, to open up new channels in search of diversification and to reach other countries, which, in terms of the Canary Islands’ promotional strategy, are seen as potential markets. It is at these events where the islands have the opportunity to share, both with the general public and professionals, an offer which year on year is bringing in new activities and products. Although it is true that the islands’ main attraction continues to be the “sun and beach” model, this needs to be accompanied by activities that provide a response to travellers’ different motivations. Such is the case of the range of choices presented at fairs dedicated to golf, active tourism, sports in natural surrounding, and at more specific events aimed at fans of aquatic activities, hiking and extreme sports, among others. *Campaigns 85% co-financed by the European Regional Development Fund (FEDER).